Local dental anesthesia in both simple and complex dental procedures. 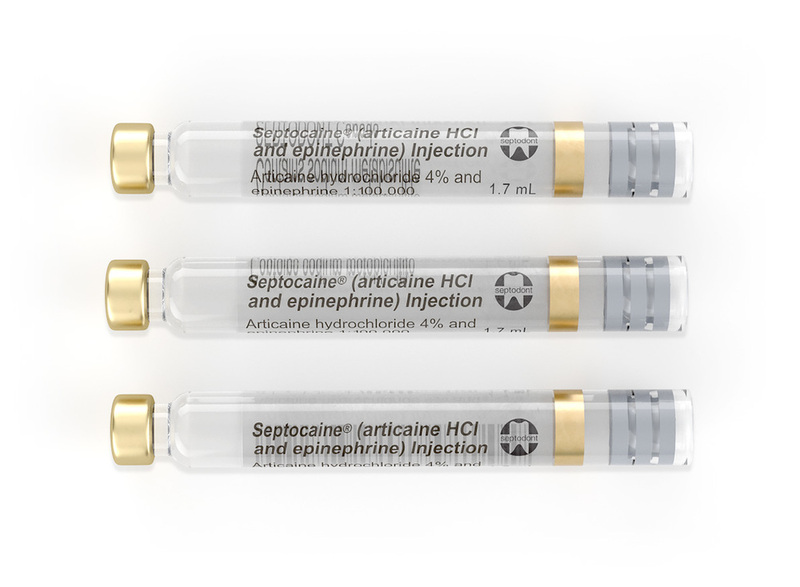 Septocaine and epinephrine 1:100,000 is preferred during operative or surgical procedures when improved visualization of the surgical field is desirable. 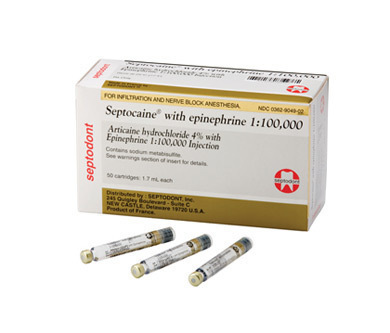 Item#01A1400 - Box containing 5 blisters of 10 x 1.7 ml glass cartridges.